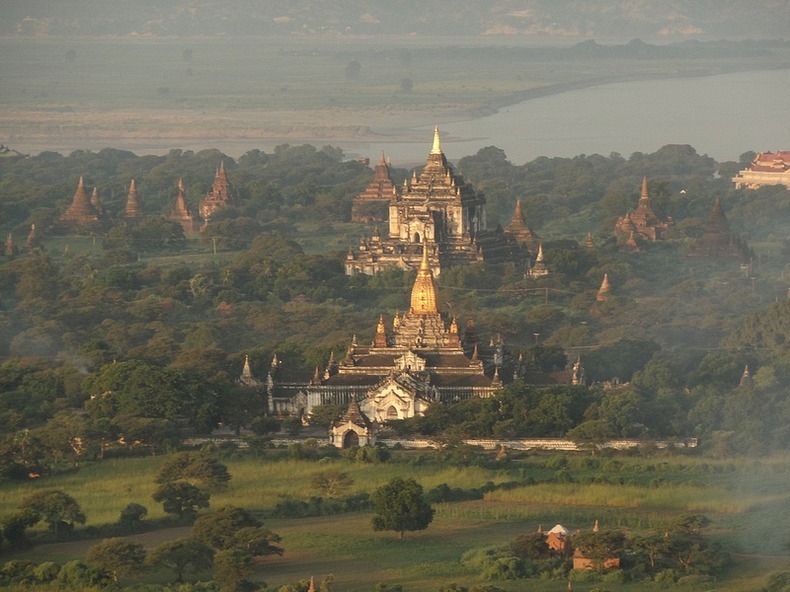 Located on the banks of the Ayeyarwady (Irrawaddy) River, in the Mandalay Region of Burma, lies the ancient city of Bagan. From the 9th to 13th centuries, the city was the capital of the Kingdom of Pagan, and the political, economic and cultural nerve center of the Pagan Empire. During the kingdom's height between the 11th and 13th centuries, the wealthy Pagan rulers commissioned thousands of temples to be built in the Bagan plains. It is estimated that over 10,000 Buddhist temples, pagodas and monasteries once stood on this 100 square km plain in central Myanmar, of which the remains of over 2200 temples and pagodas still survive to the present day.